I love that you’re interested in The Lost Tools of Learning by Dorothy Sayers. I’ve created this audio recording and this annotated PDF of Dorothy Sayers’ famous speech to help spread her ideas about education and her passion for the classical model of education. It has revolutionized my own ongoing education and, of course, how I teach my children in our homeschool. I pray that it does the same and more for you. 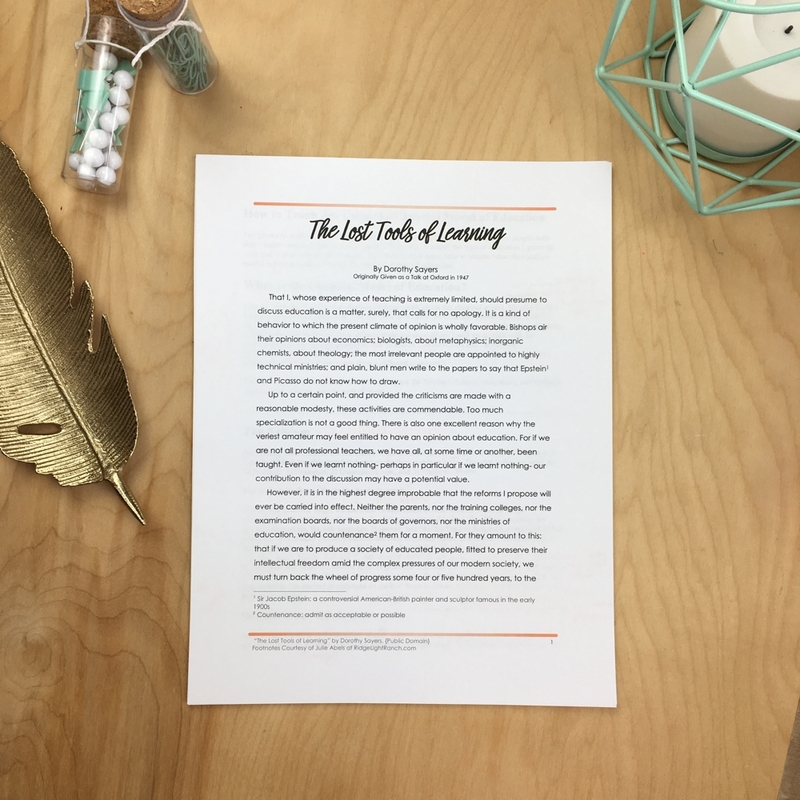 Click here for the free PDF of The Lost Tools of Learning by Dorothy Sayers. You are welcome to save it and share it with anyone who might benefit from it. Aren’t You the Art Lady? Dorothy Sayers was born in Oxford, England. She graduated from Oxford University with a language degree and went on to first write advertisements, then mysteries (crime novels), poetry, and plays. She was also a churchwarden and a popular lecturer, known to have a sharp wit and good humor. She was most proud of her work translating Dante’s Divine Comedy to English.